When seniors decide to move to another state for retirement, warm places like Florida, Texas, and California are the first ones that come to mind. Another option that might be available but doesn’t always come to mind is Georgia. This state has to offer mild winters, rich and plentiful history, and lots of golf courses. In addition to this, Georgia’s tax system is rather friendly for retirees. Before you decide on moving to Georgia, you’ll first want to familiarizes yourself with the senior options that are available in this state, like independent facilities and assisted care, and the amenities that each of them has to offer. Another valuable information are the benefits that this state has to offer for retirees that have decided to move here. In this article, we have collected all of this information for you to read. If you have a general idea so as to which city you’d want to retire to, feel free to use the list of cities below to read in more details. With a housing index of 93.20m Georgia’s cost of living is lower than the national average of 100. One-bedroom apartments in this state have an average monthly cost of $716, compared to the national average of $825. Two-bedroom apartments go for an average monthly cost of $849, compared to the national average cost of $1,027. Home healthcare costs in Georgia can be considered as affordable, with an average monthly cost of $3,623. This price gives seniors access to service aides which help them with their daily tasks, meal preparation and housekeeping in their own home. Seniors that require supervised stay at a facility during the day can make use of adult daycare facilities for an average monthly cost of $1,300. This type of senior care doesn’t include ‘round the clock care so it’s better suited for seniors that still lead a somewhat independent life, but in need of socialization. The assisted living facilities in Georgia are the first choice for seniors that need a greater degree of help with daily chores. These services can be acquired for an average monthly cost of $2,800. Last but no least, seniors that require 24/7 supervision should take a look at nursing home centers. In Georgia, semi-private rooms go for about $6,222 per month, while those that want some more privacy can opt for a private room which has an average cost of $2,800. This type of senior care gives its residents access to personal grooming services, medication, housing, surveillance, as well as therapy sessions and rehabilitation. Below, we have collected and listed some of the more important benefits that need to be considered before retiring to this state. If your current living location is a place that’s known for its heavy snows during winter, you’ll be pleasantly surprised to find out that Georgia has some of the mildest winters in the nation. In addition to this, The Peach State has different kinds of terrains like lakes, valleys and mountains, which, in turn, implies that you’ll encounter different weather conditions depending on where in Georgia you decide to move to. On the other side, Georgia is known for its heavy rainfall, with an average of 49.74 inches. Summers in Georgia are warm, allowing its citizens to truly enjoy the summer and the activities that come with it. Georgia is considered to be one of the most tax-friendly states in the nation. Social Security income is not taxed, as well as $35,000 of most of the types of retirement income for ages 62 – 64. This exemption is $65,000 for citizens 65+. Some seniors may even qualify for additional tax deductions, while full-time citizens of Georgia get a homestead exemption. Georgia is one of those states that are famous for their southern charm, one that is steeped in history. Its music scene helped create blues, and the state hosted the 1996 Olympics in Atlanta. Many colonial towns in Georgia are still intact, like Athens and Canton, and here you can see and be a part of 18th and 19th century-life. Seniors in Georgia have several senior living options to choose from, and these include independent living, assisted living, Memory care, and nursing homecare. Each of these is explained in more detail below. The 290+ independent living facilities operating in Georgia and are the first choice for seniors that still lead an active and healthy life, without the need of ‘round the clock supervision. These seniors can opt for either an independent living facility or life in senior apartment communities. The average monthly cost for these sorts of facilities can range anywhere from $467 to $4,372. These apartment communities usually have great amenities for their residents, like gyms, walking trails, pools and jacuzzies, and much more. It goes without saying that each community has different amenities to offer. Many assisted living facilities operate in Georgia and provide seniors with professional caregivers, healthcare, and social activities that will help them socialize and feel at home. As it is with independent living facilities, the amenities that are offered in assisted living facilities will vary depending from the place. In general, residents at these facilities will get help with housekeeping, laundry, transport, meal preparation, and ‘round the clock surveillance. The cost for these facilities in Georgia has an average monthly range of $850 to $7,950. The more affordable assisted living facilities can be found in suburban areas, while the less affordable ones are located in the metropolitan areas. Seniors that suffer from Alzheimer’s, dementia, or other dementia-related illnesses can take a look at memory care centers in Georgia. These centers provide their residents with assistance with daily tasks in a way that reduces stress from memory loss. Memory care centers have ‘round the clock surveillance so as to prevent seniors from getting lost. The average cost for staying at one of these facilities can range anywhere from as low as $1,232 to as high as $11,527 per month. As evident, the costs for these centers ranges greatly, depending on the location of the centers, as well as the level of care that is needed. The centers with more affordable costs can be found in the Warner Robins area, while the less affordable centers can be found in the Savannah metropolitan area. With more than 1,300 senior living options to choose from in Georgia, seniors will surely find the senior care that they need. Each of these centers are specially designed for the different kinds of senior living care. Seniors that are still active and want to remain so should take a look at one of the 107 adult daycare centers that are located in Georgia. These centers have an average annual cost of $15,600 and offer various social and local activities that engage seniors and, in turn, keep their body and mind busy. When compared to neighboring states, adult daycare centers are higher, but still lower than the national average. Families that are taking care of seniors that have been diagnosed with terminal illness will know just how hard and demanding caring for them is. For this reason, there are about 230 hospices located all over Georgia which provide seniors with medication for pain relief, chaplain services and grief counseling for both the patient and his/her family. 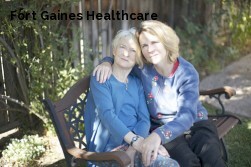 This type of senior care can be paid for in full by Medicaid, Medicare, and private insurances. The administrative staff at these facilities will provide help for families and seniors with all the paperwork that is required so as to cover the costs by their insurance. There are also lots of respite care facilities in Georgia, 416 of them scattered all over the state. Primary caregivers that don’t have the time or resources to care for their elders can use the services of these respite care facilities. 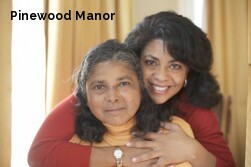 The staff at these facilities provides professional and loving care to their residents. In addition, meals are provided three times a day, as well as social activities. Furthermore, seniors will be under health monitoring all the time, and medical attention will be provided by on-site physicians as needed. The average annual cost for respite care facilities in Georgia is $65,700. Assisted-living-facilities.net will help you to find the best quality Assisted Living facilities in Georgia. You can also find skilled nursing, memory care facilities, retirement communities and assisted living regulations in Georgia. Here you can compare ratings and check prices and costs for assisted living. Read reviews and more, with the best directory for Assisted Living Facilities. The state of Georgia has 3008 assisted living facilities. If you're searching for information about assisted living communities in Georgia, you need to look no further! 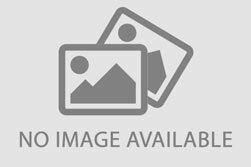 Assisted-living-facilities.net will provide you with the most comprehensive information about the number of 3008 assisted living facilities for seniors that are currently available in Georgia. The assisted living services available in Georgia include in-home residential and assisted living situations, nursing homes, retirement communities, adult day care, and a range of independent living situations, you can also find Alzheimer's and hospice care. Searching in Assisted-living-facilities.net to find information about Georgia's assisted living communities is simple! You can use the site in these ways to search and find the assisted living facility or community that is the right one for your needs, and allows you or to your loved one, to live close to friends and family and to enjoy fully. Getting all the support of the amenities that Georgia has to offer. 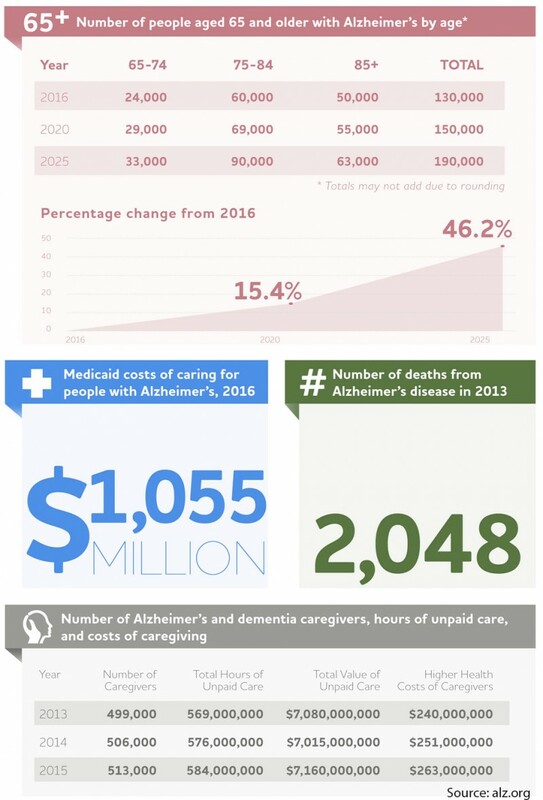 The average monthly starting costs for assisted living facilities in Georgia (higher for residents requiring memory care) starts and depends on the level of care the resident. The average monthly cost of assisted living in Georgia starts from $1,700 to $3,600.